Wearing bright colours was “something positive” Kiwis could do to commemorate one of our darkest days. Thousands of schools, businesses and communities here, as well as in Australia and the United Kingdom, participated in Colour Your Day on Friday, donating what is likely to be millions of dollars to families affected by the Christchurch mosque shootings. 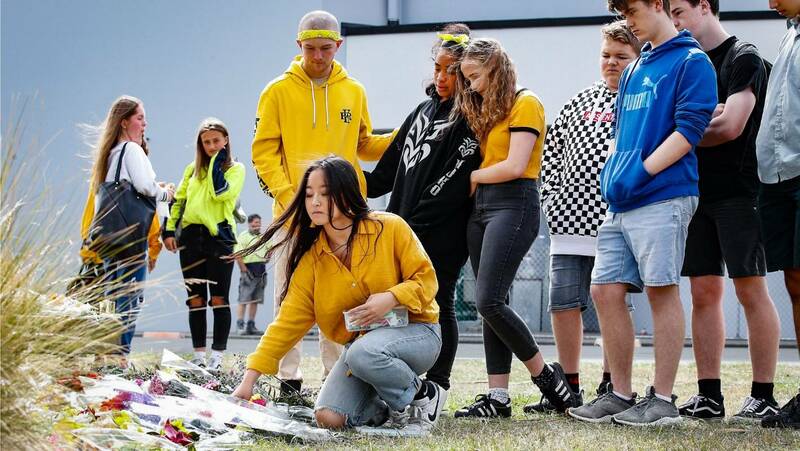 Organiser Jay Geldard encouraged people to wear something bright as the country observed a two-minute silence and call to prayer. “I stood outside Cashmere High School at 1.30pm with the students there … to see the colours represented, and the happiness it brought them was amazing,” he said. While he did not know exactly how many people embraced the initiative, Geldard said “corporations with 3000 to 12,000 people” and large businesses like Bunnings and Fisher & Paykel told him all their staff were taking part. At Burnside High School, students in bright colours laid flowers for their classmate, 17-year-old Muhammad Haziq Mohd-Tarmizi, who was confirmed dead by police on Thursday. Principal Phil Holstein said it was “a very sad day for the Burnside community”, describing Mohd-Tarmizi as a dedicated student who had recently grown in confidence. Cashmere High School was also heavily affected, losing two students, Sayyad Milne, 14, and Hamza Mustafa, 16, and alumnus Tariq Omar, 24, in the terror attack. Christchurch students expressed their grief and determination that the terrorist’s actions “do not define who we are” at a candlelight vigil in Hagley Park organised by Cashmere High’s head boy, Okirano Tilaia, and attended by thousands on Monday. Three St Andrew’s College students have also organised the Christchurch March For Love through the city on Saturday. More than 3000 people are expected to attend. Geldard, who is a youth worker in Christchurch, said he was “always looking for ways to pull out greatness”. Donations raised will be held by the Christchurch Foundation and distributed to families at the Muslim community’s direction.